With the death of her husband and son, concert pianist Riley Forte’s life and career shattered. Her comeback performance bombs, her sponsor pulls out, and she faces the tattered ruins of a once-happy life. When Mt. Rainier erupts, isolating her in a small community stalked by a serial killer, it seems like the end of everything, but it brings a new chance for Riley. If she can evade the clutches of a killer. In a tense action story filled with nail-biting suspense, Riley fights to hang on to the one thing she has left—her life, and the one thing she needs to turn it around—redemption. Fans of Jeffery Deaver, Lisa Gardner, and Peter Robinson will be captivated by this page-turner. 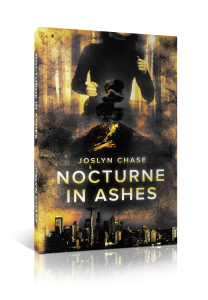 If you like a gripping, suspenseful tale, grab your copy of Nocturne in Ashes and prepare to burn the midnight oil.